*Jeremiah F. Reid has been a practicing California attorney for 34 years. He is certified by the State Bar of California as a specialist in Probate, Estate Planning and Trust Law. I want to send a HUGE thank you to my amazing father for not only the probono legal work he does for me, but also for sharing this very important information with us. The title to this article is the first question that many new clients ask me. I think I will start here by saying “No, you don’t need a living trust”. After all, look at all the people we know or have heard of that did not have a living trust. My father, for example. Or Indira Gandhi: I doubt if she had a living trust. And, seriously, I have counseled lots of clients than came in because they heard on TV that every man, woman and child, and all of their pets, and maybe even some of their furniture, should have living trusts. I have told a lot of people that under the circumstances of their particular case they don’t need this form of estate plan, and that there may be a better alternative for them. That highlights a couple of things right there. 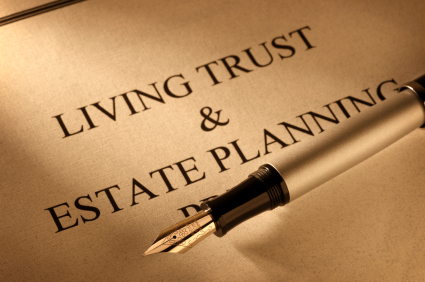 First, the living trust format is just one of various ways to put a person’s estate plan together. Second, you need to talk to a professional that has a well-rounded base of experience and learning in these things, because everyone’s situation is different. There are companies out there that purport to do estate planning who are really just you selling a ream of paper in a fancy three-ring binder, where every “client” gets exactly the same form of trust, often unsuited to their situation, and sometimes downright harmful. But I digress. Let’s start by making sure we’re all on the same page here: What, exactly, is a living trust? Let me refine the terminology somewhat. We are speaking here of a revocable living trust. People often hesitate to do estate planning because they are afraid that they are going to be giving up rights over their property by placing their assets in a trust. That is only the case if the trust is irrevocable, which is not what we are talking about here. A trust has three parties to it. The “Settlor”, the “Trustee”, and the “Beneficiary”. The Settlor creates the trust; the Trustee administers it; and the Beneficiary (duh…) receives the benefits of it. Let’s say we are talking about a trust for a single woman. Well, in nearly every case, that woman is the Settlor, the Trustee and also the Beneficiary during her lifetime. This kind of trust is not a taxpayer, as a corporation or partnership would be. Instead, the Settlor uses her own Social Security number for all assets that she places in the trust. But the real hallmark of a revocable living trust is that the Settlor can change it at any time, take assets out of it as she pleases, or simply do away with it altogether. That’s why I tell people that a revocable living trust, in a very real sense, is just another way to hold title to your property. It is a cedar chest that you put all your stuff in (except certain stuff – that’s why you need professional guidance here). You put your house in the trust, your bank accounts, your investments, maybe your life insurance or personal possessions, probably not your car, certainly not your IRA or 401(k) plan. You put your stuff in the trust, and you are the Trustee, so you continue to do exactly what you would have done anyway with your stuff. Live in the house; sell it and buy a different house; buy and sell investments within your brokerage account (which is now a trust account); use your ATM card at Starbucks; etc. I hate to admit it since I have been making my living writing these things, but the bottom line is that a revocable living trust really isn’t much of anything while my client is alive and well and managing her own finances. In this context, it’s difficult to think of it as anything more than just another way to hold title to your property. Instead of holding title to the condominium as “Sara Espinoza”, she holds title as “Sara Espinoza, Trustee of the Sara Espinoza Trust”. The reason my work for Sara was so inconsequential in the last paragraph is that she was alive and competent, and still handling her own finances. But the idea here is we are doing estate planning. A good way to define that term would be “planning for the event of your death or incapacity”. Clients know this, so they frequently ask me what the difference between a Will and a Trust is. This is basic. Wills only apply to dead people. My “Last Will and Testament” is meaningless during my lifetime. If I write a Will and name my sister as executor, she will have no power over my assets until I kick the bucket (and, even then, not until she gets a lawyer and opens a probate proceeding and obtains authority from the court to act for me). On the other hand, if I set up a living trust and transfer my assets to the trust, then my “Successor Trustee” (that same sister) will have the power to transact business with the trust assets in the event of my incapacity. For example, if my checking account is in my trust, then I can just lay back and enjoy my advanced dementia, or my life in traction at the hospital, because my successor Trustee will be able to write checks for me to pay my bills. Everyone reading this article should ask themselves this question: If, all of a sudden, I become incompetent, will someone have the ability to use my money to take care of me? Lots of times the answer is “yes” because there is a joint signer on the checking account or other assets. But that’s not always the case. Having a living trust fills this void for single people. It is also relevant for married couples or domestic partners because, sooner or later, one of them will be a single person and need a Successor Trustee in the event of incapacity. You will hear it said that a living trust is a substitute for a Will. That’s true in a large sense. If, at my death, ALL of my assets are in my trust, or set up in some other from that passes without probate, then I didn’t need a Will at all. But from a practical standpoint, people always end up with both documents because you need a Will to deal with things that you may have forgotten to put in the trust. Even so, under the typical plan, the distribution of one’s assets at death occurs through the trust, not through the Will. And that’s what you want. If a decedent’s trust was properly funded during her lifetime, then her estate will not have to go through the probate process upon death. Depending upon the state you live in, and depending upon the size and character of the estate, probate avoidance can be a hugely valuable element of the estate plan. The probate process is different in every state, and California may be the worst. It is a long frustrating expensive process. Here in San Diego County, a family with a good lawyer should allow at least a year to get through the process. (I’m sorry, but if they try to do it themselves they will probably never get through the process.) Lawyer fees are a percentage of the gross value of the estate. For example, if a decedent’s estate consisted of a $400,000 condominium and $100,000 in other assets, the statutory attorney’s fee would be $13,000, plus about $1,000 in court costs. On the other hand, if that same decedent held title to her assets as trustee of her revocable trust then title can pass immediately to the named Successor Trustee, who is then immediately in a position to distribute the house to the decedent’s named beneficiary, sell it, or do whatever else the circumstances may require. This striking difference is what has led to the proliferation of living trusts in California. From this standpoint, living trusts become more and more relevant as our court calendars become more and more congested due to state budget constraints. But, as I said at the outset, not everyone needs a living trust for probate avoidance. It depends on the size and character of your estate. That’s why proper estate planning begins with an analysis of the owner’s assets, and how title to those assets is held. Many assets, such as Individual Retirement Accounts and company retirement plans, pay to a designated beneficiary upon the owner’s death. These things are not subject to probate if there is a named beneficiary, and they would not be transferred into a living trust if there was one in place. Moreover, it is a rare case where the trust is the appropriate beneficiary for such an asset. These are things that should always be discussed with the estate planner, to ensure that the primary and secondary beneficiary designations are set up correctly on assets of this type. Right, a living trust won’t improve your mile time or reduce your cholesterol. But this is not a dumb question. When I counsel clients, I insist on seeing documentation concerning each and every one of their financial assets. This is because there are many assets that one doesn’t transfer to the trust, and those assets also need to be planned for. They need to be planned for in a death context, typically with carefully drafted beneficiary designations that are submitted to the relevant companies. But the “non-trust” assets also need to be planned for in the context of the owner’s potential incapacity. The documentation that accompanies the living trust that your lawyer prepares will usually include a Durable General Power of Attorney. In essence, this is a form that gives someone else the power to sign your name for you, or otherwise act on your behalf to carry out your business during your lifetime. This is important, because people usually own assets that will not be transferred to the trust. For example, if my client has an interest in the company’s 401(k) plan, that won’t be transferred to the trust. But if my client becomes incompetent and we need to withdraw money from the 401(k) for her care, who has the power to do this? Since it is not a trust asset, the Successor Trustee under the revocable living trust does not have this power. That’s where the general power of attorney comes in handy. It gives the named agent (the “Attorney in Fact”) the power to act with respect to the 401(k) plan. While the form is entitled a general power of attorney, it is best if the specific assets that you want your agent to have access be specifically listed among the general powers on the form. Hey: You Didn’t Answer the Question! Right, I didn’t. Your estate planning professional doesn’t know if you need a living trust until you sit down with that person and go over the whole situation concerning your assets, and your estate planning goals. If all you own is an IRA or other retirement plan, your personal furniture, a car, and a small bank account, then you may be able to get by for now with just a “simple Will” and a general power of attorney naming someone as your agent (but make sure your bank will accept the power of attorney – they usually need it to be on their own form). On the other hand, if you own a house or other real estate, or substantial “non-retirement” investment assets, then you and your family will probably be best served with a carefully drafted and properly funded revocable living trust. I find it hard to start the conversation about wills with my parents and in-laws as death is a subject you never want to talk about with your nearest and dearest. I can totally relate. Not a fun topic to broach. However, if they have life insurance or even health insurance it probably means they are forward thinking enough to understand that life is never predicatbale. My father definitely did not enjoy discussing the possibility that I might pass before him. However, should this occur, it is very important to me that my small estate is taken care of and along with grieving, they have little burden to bear upon my death. There should always be right decisions taken at the right time and at the right place.Demand for certain products are very challenging and different from other products.So,I really appreciate this site for sharing such an important information. some truly marvellous work on behalf of the owner of this web site , absolutely outstanding articles .